PTC_therapy, Author at Physical Therapy Consultants, Inc.
As we age, it can be harder to feel the desire to stay active. Heck, even as a young adult there are days that exercising sounds more like a chore. Below are a few facts about why it is important to stay active as we age. The nice thing about exercising, you can start anytime! Consult with your doctor before starting a new exercise routine to ensure safety. A lifestyle balanced with aerobic activity, muscular strength and flexibility exercises helps decrease the higher risk of diseases such as diabetes, colon cancer, and hypertension. Can lower and control blood pressure which reduces overall stress on the heart decreasing atherosclerotic build up. Keeping physically active can help decrease memory loss, problem solving skills, maintain spatial awareness. –Think of it like this – What’s good for the heart, is also good for the BRAIN!! Decrease the development of balance issues. Stronger muscles help reduce the risk of falling and improve the ability to perform daily life tasks. Continue to live independently! Reduce symptoms of depression and anxiety which helps improve mood and feelings of well-being. Preheat oven to 375ºF. Spray a cookie sheet with cooking spray or line with parchment paper. Unroll crescent dough and separate each triangle. Have children dip marshmallow in water. Roll in cinnamon and sugar mixture. Place on prepared cookie sheet and repeat with remaining 7 rolls. Bake in preheated oven for 8-10 minutes or until golden brown on the outside. Let cool for a few minutes and then let the children pick a roll to open up. The marshmallow has disappeared! 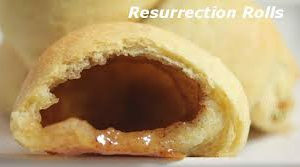 Start a new tradition with your family this year and make these Resurrection Rolls. Your family will learn from them and have a delicious treat, too! Having availability to industrial healthcare professionals is a big asset to companies. Here are a few of the most important reasons to consider such services. 1 Return on Investment – Companies investing in industrial health services can see a 3:1 to 6:1 return on investment. 2 Safety Training – Industrial healthcare professionals can educate and train employees on workplace ergonomics to ensure they are using their bodies in the safest manner possible when performing their work tasks. 3 Lower Number of Injury Claims – Early onsite management of discomfort can decrease the likelihood of that condition progressing to become a recordable work injury. 4 Building Employee Trust – Having availability to interact with a industrial healthcare professional is a benefit to employees not only for work related conditions, but they can advise on “weekend warrior” questions. 5 Increased Productivity – Industrial healthcare professionals specialize in creating wellness and exercise programs for employees to keep them in top form. This is especially beneficial to the aging workforce. Physical Therapy Consultants, Inc. offers a very customizable program to fit your businesses needs. Our services are designed to increase workplace safety through Education, Preparation, Wellness and Rehabilitation. We focus on injury prevention, but also have the expertise to help injured workers recover more quickly. Spring has Sprung: It’s Time to Get Moving! It’s finally spring! According to the calendar, which living in Minnesota we know we can’t always rely on! But the warm sunshine and longer days mean we can emerge from our winter hibernation! That means we will be spending more time outside enjoying the warmer weather! Do you want to get outside and enjoy the weather but aren’t sure how? Here are some tips to get outside and soak up the vitamin D! Explore your neighborhood and say hello to your neighbors you haven’t seen since before Christmas! You might find a hidden gem you didn’t know was in your neighborhood! Golf is great workout, especially if you walk the course instead of using a cart. You get your steps and a full body body workout with swinging a club. Some courses can be expensive, but there are usually cheaper city owned/community courses that can introduce you to the sport. Frisbee golf requires less equipment than regular golf. Courses can be found at city parks and they are usually free. There are a few more elite courses that might have a small entrance fee, but most course are totally free. The only equipment required is a frisbee. These can be found at sporting good stores or even Walmart or Target for less than $10 a piece! 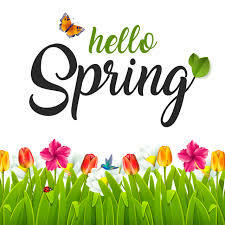 What is your favorite outdoor spring activity? Share in the comments below! As always if injuries occur during your favorite activity, or pain is preventing you from completing your favorite spring activity give us a call at 1-888-THERAPY to schedule your initial evaluation today! Raise your hand if you’re able to recall images of residual purple circles located on the upper back and shoulders of Michael Phelps during his debut at the 2016 summer olympics in Rio. If not, just “Google” the phrase “Phelps and cupping” and you’ll see the impact that was made on the internet 2.5 years ago. This is arguably when “cupping” first became apparent to most Americans. However, “cupping” has actually been around much longer than when Olympians popularized it a few years ago. In fact, it has been used in ancient Chinese medicine for hundreds of centuries. The technique involves placing cups of various size on the skin. A little air pump is placed on a valve to create negative pressure, which results in the suction of skin to be pulled away from underlying muscle. A common side effect of the technique is the famous purple circles that members of the US olympic teams sported in 2016. If the concept still seems foreign, realize that the purple circle side effect is the same reason that a person gets a “hickey.” Like a hickey, the bruising should go away within a couple of days. Physiologically, cupping promotes an increase in blood flow to the affected area, which therefore increases the healing rate of sore or injured tissues. But wait! Don’t we already have modalities that are thought to increase blood flow? Why can’t I just throw a hot pack on my back? You could just kick back and try to relax with a hot pack, but there is another unique physiological response to cupping that promotes healing that traditional modalities do not offer. The medical term for cupping is “myofascial decompression.” This is because the suction created by the cup creates separation between the muscle and fascial connective tissue layers. This process is thought to break up adhesions and scar tissue and thus decrease myofascial dysfunction in a manner that other modalities cannot. Another unique and beneficial property that cupping aka myofascial decompression allows for that a hot pack does not is that it can be combined with other therapies at the same time, essentially giving you “better bang for your buck.” Reduced muscle pain is usually experienced immediately while the cups are applied, allowing for increased participation in movement exercises while keeping the cups on. Moreover, when used correctly, cupping can even allow for neuromuscular feedback to the brain to promote healing. In other words, the brain is being re-programmed to relax one muscle (the cupped muscle) while concurrently activating the other muscles that need to be recruited. Don’t worry as much about this part, this is where your movement expert (your Physical Therapist and/or Physical Therapist Assistant) comes into the equation. Yes! Over the last several years, there has been a surplus of emerging clinical evidence that supports the use of cupping for various orthopedic conditions. There are several randomized control trials with outcomes such as less pain and improved range of motion, both short term and long term, when a group of individuals received myofascial decompression as an adjunct to their treatment plan than if groups had not. Are there any people for whom cupping should not be performed? Also, yes. Precaution should be used if a person is taking blood thinners due to concern of bleeding and cupping should not be performed on a person with hemophilia (a specific blood clotting disease). Talk to your physician or doctor of physical therapy about concerns you may have and to find out if cupping is right for you. Every year January 1st rolls around and like most, we make some sort of resolution. Approximately 50% of those resolutions are about weight loss and by the end of February 80% of those resolutions have gone to the back burner. It is great to have goals and strive to be the best you but instead of getting stuck on “I need to lose 20 pounds in 2 months”, try making these simple life style changes to keep things running more smoothly and less stressful. Now that it is March let’s start over! Drink plenty of water; shoot for half your body weight in ounces. Stay away from processed and fried foods. Eat complex carbs, like fruit, vegetables and whole grains. Get enough sleep: 7-8 hours. Sleep deprivation has been shown to lead to strong carvings and poor eating habits. Eat more fatty acids, Omega 3’s. FISH! FISH! FISH! (at least twice week). Eat BREAKFAST!! Skipping causes 40%fewer calories toe burned during the day. Standing burners 20% more than sitting. Stand whenever you can!! Turn down the thermostat: your body has to work harder to help keep normal body temperature, so you burn more calories. Get 10 minutes of direct sunlight daily when possible. Have a protein with each meal. It helps kick up our metabolism by 25% to boost up your energy level. Exercise! Your muscles are your metabolism. They are the only things that burn fat for fuel in our body. Whenever you strengthen or tone a muscle, you automatically increase your metabolism to increase your ability to lose weight and create energy! On average, a sedentary person will lose about ½ a pound of muscle tissue each year from the age 35 on. Control stress. Whenever stressed, your body makes and overproduction of cortisol (stress hormone). This will cause your body to produce more fat cells which your body will store away usually around the waist line. Relaxation techniques: “Time out for you!” Try to incorporate things daily that make you HAPPY! Examples: reading a book, listening to music, conversation with a friend, hot bath, getting a massage, yoga, meditation, or any form of exercise! Find a friend or partner to make these changes and work together to keep each other accountable. Spring break is just around the corner. The kids will be home from school. Do you have plans to keep them busy? There are plenty of things to do and see in Minnesota, both indoors and out, for all ages. 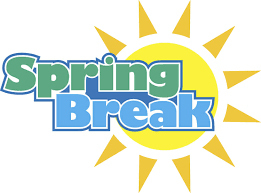 Here are a few ideas to keep your family busy during Sprink Break vacation. Do your kids go wild for animals? Escape the cold and immerse yourself in tropical weather on the Minnesota Zoo’s Tropics Trail or pay a visit to their newest addition, a baby Malayan tapir. Stroll through the Como Zoo to see a variety of animals while being surrounded by lush tropical plants. In downtown St. Paul, treat your kids to a day at the newly renovated Minnesota Children’s Museum, which added 10 new permanent exhibits in 2017. Have you ever wanted to try rock climbing? Vertical Endeavors caters to families looking for an afternoon of fun and can even challenge serious climbers. The St. Paul location is the largest indoor rock climbing facility in the country. Vertical Endeavors also has locations in Duluth and Minneapolis. Rental equipment is available. Depending on the weather, skiing and snowboarding could either be is pretty much done, or still going strong! If your kids want one last chance to play in the snow, Wild Mountain and Afton Alps are usually the last two local holdouts, staying open for one more week, with skiing, snowboarding, and snow tubing. Kids have to be 42″ tall and over 4 years old to go snow tubing. You don’t have to travel across the country to enjoy your Spring Break this year. Hope you have a fun family spring break with a few of these ideas in the metro. Athletic Trainers (AT’s) are highly qualified, multi-skilled health care professionals who collaborate with physicians to provide preventative services, emergency care, clinical diagnosis, therapeutic intervention and rehabilitation of injuries and medical conditions. AT’s have unique skills to identify injury risk potentials, create strategies to reduce risk of injury, and promote healthy choices for employees. Incorporating the skill set of AT’s into the workplace has proven to provide not only a reduction in recordable injury rates, but a positive benefit in overall health and wellness for a company’s employees. Physical Therapy Consultants, Inc. provides services designed to increase workplace safety through Education, Preparation, Wellness and Rehabilitation. We focus on injury prevention, but also have the expertise to help injured workers recover more quickly. Employees receive training in how to fit the work to the worker and best utilize their bodies. Improving workplace ergonomics helps reduce work-related musculoskeletal disorders by decreasing at risk behaviors and body positions. Knowing the “WHY” is important to employees when changing a potential injury risk behavior. Injury Prevention Education answers the “WHY” by tying together ergonomics with anatomy and physiology to explain the importance of developing safe work habits. Employees receive information through presentations, handouts, and other means on topics relevant to injury prevention, general health and wellness, and current “hot” topics. We work with employers to implement a pre-shift warm-up program consisting of stretching and movement patterns that prepare employees for the physical tasks of their job. We help in the development of safe work practices of new employees. Reinforcing proper technique early in a new hire’s employment can lower their risk of musculoskeletal injuries that occur as the result of bad work place habits. 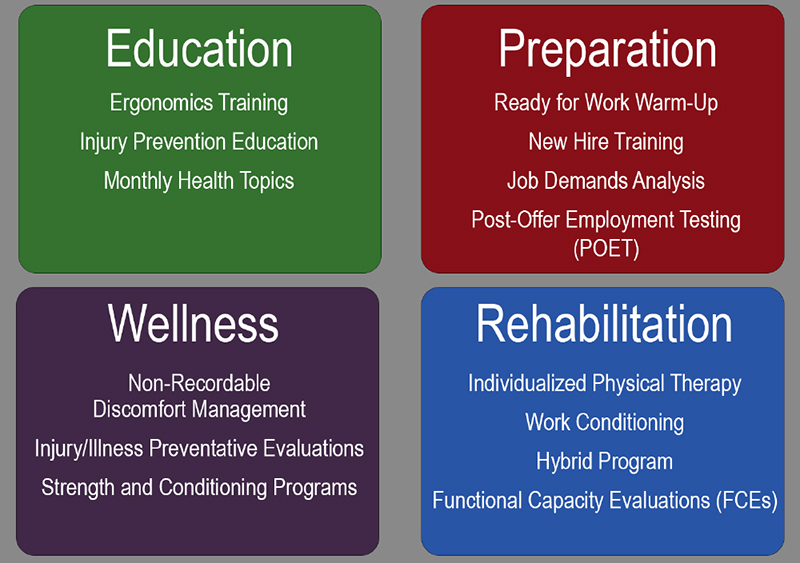 We examine and quantify the specific physical demands required to perform a given job. This information is used to create accurate, objective, and reliable job descriptions. By utilizing the job demands analysis we create and administer a testing procedure to assess if an individual is physically capable of performing a specific job to proactively minimize the risk of injury. Early intervention is key to preventing discomfort from becoming a recordable injury. Many forms of discomfort can be managed by our healthcare professionals within the OSHA guidelines for first aid that do not result in a recordable injury. Not only are recordable injury rates decreased, but employee productivity increases when people are working without discomfort. Preventative screenings look to identify areas of physical limitations that can be addressed through our strength and conditioning programs. We offer a number of different injury preventative screenings to meet the needs of your employees. Healthy employees who exercise regularly have a reduced the number of sick days, improved productivity, and reduced long term health issues and disease. No matter the industry, our experts can be advocates in helping employees improve their overall health and wellness. Programs can be specific to the individual or company wide. Our goal to help the injured worker recover as quickly and safely as possible. Our team of experts utilize the most recent evidence-based skills to create a comprehensive plan to help the injured worker. This program combines Physical Therapy and Work Conditioning. Injured workers avoid overall body deconditioning while still having focus on treatment of the injured body part. This program is perfect for post-surgical patients, post-concussion management, and reoccurring injuries. A Functional Capacity Evaluation (FCE) identifies a person’s level of ability to participate in work. An FCE identifies accommodations or modifications that can be made to keep the worker in the same work or guide alternative work. Please contact us at deslinger@physicaltherapypt.com or call 612-558-7120 to learn more and to find out what specific services will benefit your business. On February 5th, myself and 2 other coworkers attended the Physical Therapy Day on the Hill at the State Capitol in St. Paul. 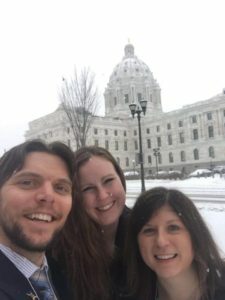 This is an annual event sponsored by Minnesota Physical Therapy Association to lobby for new legislation related to the field of physical therapy. Did you know that rules and regulations regarding what physical therapists can do vary from state to state? For example, in some states physical therapists can order imaging and in other states physical therapists aren’t allowed to perform dry needling. The legislature and the governor have the ultimate authority over what laws and privileges physical therapists have. This is why it’s so important to educate government officials on the importance of physical therapy! This year, the primary topic we were educating the legislature on was a bill that would allow physical therapists to authorize disability parking permits to patients. Currently MDs, chiropractors, PAs, and nurse practitioners are the only medical professionals that are allowed to authorize the permits. Physical therapists are one of the only professions that have standardized testing to determine a patient’s fall risk and are constantly assessing a person’s mobility. Therefore, they would be a great profession to be able to authorize the permits. The bill passed in both the House and Senate transportation committees. In the House, it will go to a floor vote, and in the Senate, the bill was transferred to another committee. Hopefully soon, physical therapists will be able to authorize disability parking permits for our patients! This will decrease overall medical costs, as patients won’t have to return to their MDs just for a parking permit. You might think what does this have to do with me? Our legislature works for us! We have to tell them what we want! Do you love your physical therapist and are so happy they got you back to doing the things you love? Are you happy that you can see a physical therapist without a referral? Do you wish you could go to physical therapy more often, but because of high co-pays or deductibles it is too expensive? Let your representative know! That’s the first step to creating change and improving access to physical therapy! There will be plenty of other topics that relate to the physical therapy field in the upcoming years. Stay tuned! Whether you are currently a runner or you are thinking about getting into the sport as a fun spring activity to reach your health and cardiovascular goals, you may have to recharge your program and start slow and low to avoid injury or return to previous level of fitness. Sometimes this can be hard to know where to start. One of the main objectives with setting up a return to running program is starting at a slow pace and building up your endurance to avoid injury and build your tolerance to increased activities. Many times we will want to push through our pain because we believe that will get us to reach our goals quicker. A lot of times this can result in burn out and pain which can lead to dropping off your program all together. It is important to find a realistic starting point in your fitness level and build up from there. Many times an interval training program is a good way to start. In this way you can build your cardio endurance and strength slowly with out feeling like you are pushing past your limits. The following link is a good resource to an example of an interval training program that can get you moving in the right direction. Many times it is smart to start slow, even at a brisk walk and build up your pace as your program progresses. It is also important to point out that cross training with other activities like yoga, cycling, and weight lifting is a good way to improve strength and health while also mixing up your program to avoid over use injury. And don’t forget to add in a good warm up before jumping into your activities. Good blood flow and muscle extensibility before asking your muscles to perform strenuous tasks with help to reduce the chance of injury. A physical therapist is also a great resource to use as you begin your running program. A physical therapist can help not only increase your strength and cardiovascular endurance but also ensure that you are efficient in your running style. Feel free to reach out to one of our clinic locations to get started on your running program!